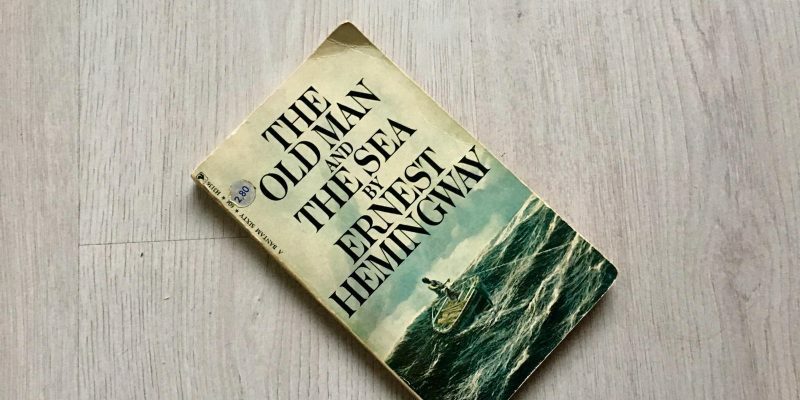 The old man and the sea is the first Hemingway book that I read! It is a highly praised classic and I was very curious to find out what was so great about it. I love reading all sorts of books and genres and I thought this book should be on my read list, as it greatly influenced story writing from that point on. It even won a Nobel Prize for Literature! What did I think of this classic? Find out below! Set in the Gulf Stream off the coast of Havana, Hemingway’s magnificent fable is the tale of an old man, a young boy and a giant fish. This story of heroic endeavour won Hemingway the Nobel Prize for Literature. It stands as a unique and timeless vision of the beauty and grief of man’s challenge to the elements. The book starts off with an old fisherman, Santagio, who did not catch any fish for a long time. He is regarded as unlucky and the boy that used to fish with him is not allowed to do so anymore by his parents. He decides to go fish on his own and goes farther out than he’d normally go. The story did not really get a hold on me in the beginning, but it was okay enough to read further. As Santagio is alone and far away from the mainland, he hooks a very big fish. The fish is so big, that he cannot really handle it by himself. He adjusts the line so the fish doesn’t break the pole, but it results in the fish dragging him out even farther into the sea. Santiago admires the fish, but he also knows that he must kill him. He struggles until the fish gets tired and he sees an opportunity. When this task is finished, he is left with another task: getting back to shore. Will he be able to get to shore and if so, is the captured fish still with him? That is for you to read. I feel like I should be blown away by the book and that I should think it’s brilliant, but… I don’t. Even though it is amazing that Hemingway changed the way authors write and that he could capture man vs. nature in a short novel. It is obvious that the story is not to be praised by its story alone, but by Hemingway’s style and his capability to write a full story of internal and external battles in just 118 pages. I do appreciate the contrasts and metaphors and I do understand why it is a classic. What matters most to the story are the elements of perseverance, masculinity and survival. The Old Man and the Sea is beautifully written, full of metaphors and contrasts and innovative. However, personally I did not feel the thrill of reading this book. I can imagine I would have felt if I read it when it was published in 1952. I do recommend reading it, just to learn why this book had such an impact. Perhaps it will have a more lasting impact on you, because when I read other reviews, that is what most people experience.